Ventilation cleaning industry experts from National Association of Air Duct Specialists UK (NAADUK) were invited to Jasun Envirocare factory to hold not only their regular membership meeting but to learn about the latest in filtration standards. 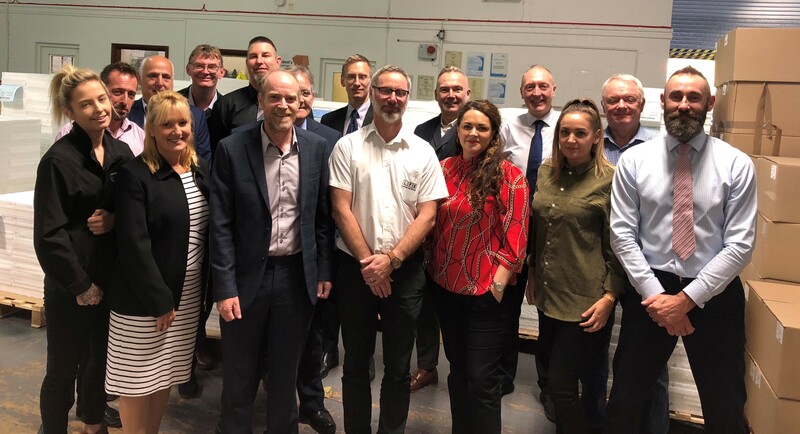 Jasun Envirocare hosted NAADUK’s regional meeting at their Bridgwater factory and held a seminar on filtration standards and the types of filters to suit the building use and application. The NAADUK members were given a presentation by Colin Hitch, the Technical Director on the ISO16890 Air Filters for General Ventilation which is one global international standard. The members learnt about air filters classification, energy performance. Jasun Envirocare are members of Eurovent Association which is paramount in driving legislation and meeting the standards. There was great focus on PI particle size and how damaging particle can be to the human body causing cancer and heart problems. IAQ (Indoor Air Quality) is a subject that NAADUK is championing and aware of the educating not only the occupiers of a building but the building owners of the need to improve IAQ. Colin Hitch also debated the advantages of using low energy filters, which are more efficient saving companies money in the long term. In attendance at the meeting were other organisation which have a working partnership with NAADUK including London Fire Brigade whose representative, Watch Manager Michael Richardson. Michael thoughts on the day were “ A Truly interesting day, providing information on Indoor air quality and filtration standards. Who knew there were so many different types of filters, with many being bespoke or handmade right here in the UK. Graham Bentley, Managing Director of Jasun Envirocare took the members on tour of the factory. In depth explanation were demonstrated in the various filter department and a viewing the test centre. Graham said “It was a great pleasure to have hosted the NAADUK October meeting at Jasun Envirocare’s Head Office in Bridgwater. NAADUK provides the first register for qualified maintenance technicians who have been taught by an accredited training provider in the UK. The aim is to improve industry standards and create a National Register of Duct Cleaners, trained and assessed to the highest standards, for use by local authorities and other organisations. Issued by Sue Sharp, on behalf of NAADUK Ltd.